My husband and I have gone through a few renovation projects prior to engaging akiHAUS, so it can be said that we are not exactly “easy” Clients as we have strong ideas about what we want and how we see the renovation process being carried out. Just when we thought we knew everything about interior design and renovations, Lawrence from akiHAUS managed to show us otherwise. Lawrence has been a joy to work with. During the initial design phase, we have loaded him with tons of our own ideas, from magazine scrap books to images on the internet, which admittedly were not always coherent as much as we like to think. He would listen to us patiently and even nudge us further to find out in depth what it is that we really like, skillfully picking out (as he likes to put it) the essence of our aesthetic and spatial preferences. That said, unlike many other design companies, Lawrence is certainly not a pushover designer that simply agrees with us on everything just because we are his Clients. He has managed to push our boundaries, challenging us with great designs and ideas that we never even knew we’d love but yet were spot on! He would take time to patiently explain to us in detail so we understand the rationale behind the designs, how they are not just superficial aesthetics but resolved to compliment the spaces that he has created and refined with intricate details on a micro scale, marrying form with function. So that we know we have made an informed decision, as he would always say. This is something we appreciated very much working with him. The renovation process has been a breeze as well with akiHAUS. Lawrence mentioned at the start of the project that the journey is as important as the end product so that homeowners would move into their home happily, and he has certainly made it so. Being an architect by training, he has been able to attend to site issues when they arose and always come up with great solutions without compromising on the design. Having gone through a few renovation projects ourselves, we know how even great designs can be compromised without good builders. 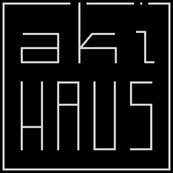 So it was very reassuring for us that akiHAUS works with a capable team of professional contractors and suppliers who not only do great work but provide fantastic after sales service as well. Our place has been completed for almost two years now and we are still attended to by the team whenever we need assistance at home. Our family is living in our dream home now and all credit goes to Lawrence and his team at akiHAUS. We are hoping to move into a landed house in the near future and would most certainly engage them again when that happens!